Self Storage/Mini Warehouse built in 2005. Office space is approx. 1,600 sq ft. Office space includes a full kitchen and private bathrooms. 50 total storage units. (40-10 x 30's at or above $100. per & 10- 5 x 10's @ or above $60. per month). At the present time the storage units are 100% leased. Great easy access from US 69 & Metcalf Rd. 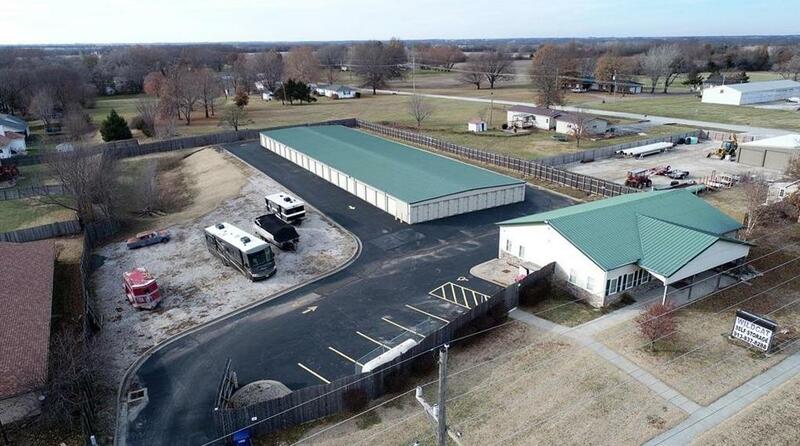 1502 N Metcalf Road (MLS #2140795) is a commercial listing located in Louisburg, KS. This property was listed on 01/04/2019 and has been priced for sale at $680,000. Nearby zip codes are 64012, 64734, 66013, 66071 and 66223. This property neighbors other cities such as Bucyrus, Cleveland, East Lynne, Overland Park and Paola.